The beautiful game has given fans across the globe a spectacle to cherish whenever the players have taken the field. From glorious World Cup final matches, to non-league encounters between two local sides, football has united millions and has formed an unbreakable bond between fans of all nationalities. While many revere these once-in-a-lifetime moments, there have been certain instances that have rocked the footballing world and tarnished the beauty of the sport. One such occasion is the infamous Munich Disaster. On 6th February 1958, British European Airways flight 609 crashed on its third attempt to take off from the snowy runway of the Munich-Riem Airport in West Germany. Out of the 44 passengers on board, 20 unfortunate ones fell asleep in the cradle of death. From those 20 were seven Manchester United players returning from their European Cup game against Red Star Belgrade. Geoff Bent, Roger Byrne, Eddie Colman, Mark Jones, David Pegg, Tommy Taylor and Liam Whelan were the Red Devils who passed away at the scene, while the others, brutally injured and unconscious, were taken to the nearby Rechts der Isar Hospital. Three more passengers faced the misfortune of death – including notable first-team star Duncan Edwards. Despite surviving the crash, Edwards died at the hospital 15 days later. Club secretary Walter Crickmer, trainer Tom Curry and coach Bert Whalley also passed away. After losing eight players through a horrific accident, the hierarchy at the club were traumatised and the fans in anguish. The club had seen its worst of days and the then manager Matt Busby was left seriously injured in Munich while the Red Devils were set to take on Sheffield Wednesday in a rescheduled 5th round FA Cup match, a mere 13 days after the incidents that unfolded in Munich. With Busby not in a physical state to return to England, his second-in-command Jimmy Murphy took charge of the team in the absence of the manager. “Keep the flag flying high, Jimmy”, said Busby as Murphy guided the makeshift United squad to a 3-0 victory in front of a capacity Old Trafford crowed, with thousands of fans locked outside, chanting the name of the club loud and clear. United had just won the quarter-final of the European Cup and had a date against Italian giants AC Milan in the final four of the continent’s elite. While the Reds were tipped as one of the favourites to lift the coveted cup prior to the disaster in Germany, beating Milan now looked like a long shot. And much to the expectations of many, Milan dispatched off the threadbare English side by a 3-0 scoreline to set up a dream finale with Real Madrid. Los Blancos defeat Milan 3-2 in the final at the Heysel Stadium in Brussels with Francisco Gento scoring in extra-time to win the European Cup. The then Real president Santiago Bernabeu dedicated the victory to Manchester United and even offered the trophy to the English side. However, the Red Devils understandably decided to decline the magnanimity of Bernabeu. That did not stop Los Blancos from helping out the crestfallen United team. They made a memorial pennant with the names of the Munich dead, called “Champions of Honour.” This was then sold in Spain to raise money for the Red Devils. 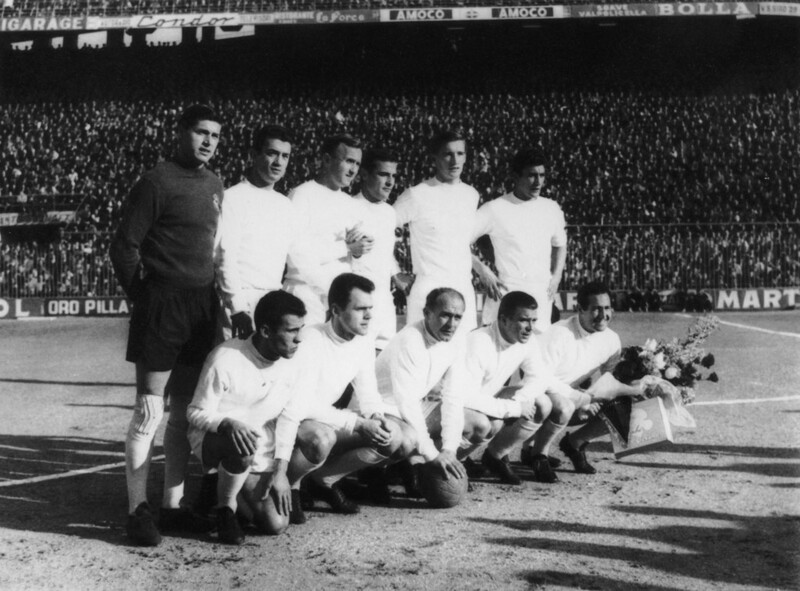 Madrid offered the injured players luxurious facilities to recuperate in Spain, free of cost and also gave the English side a chance to sign two of their top players in Ferenc Puskas and Alfredo di Stefano. However, due to financial crunches and FA restrictions, United failed to land the services of either. A series of fund-raising friendlies also took place between the two clubs with an intention to bring back United’s finances on the right track. Real won the first two friendlies, scoring six goals on both occasions. However, United responded by scoring five in the second of the two matches, entertaining the 80,000 entranced fans to an eleven-goal thriller. After a number of close shaves, United finally managed to get the job done over Madrid in December 1961 and then beat them once again in September of the following year. It was indeed a remarkable gesture by the Real Madrid hierarchy to help United in the darkest of days. Los Blancos weren’t the only team to help United out, as English rivals Liverpool also decided to offer five first-team players to the Old Trafford club. 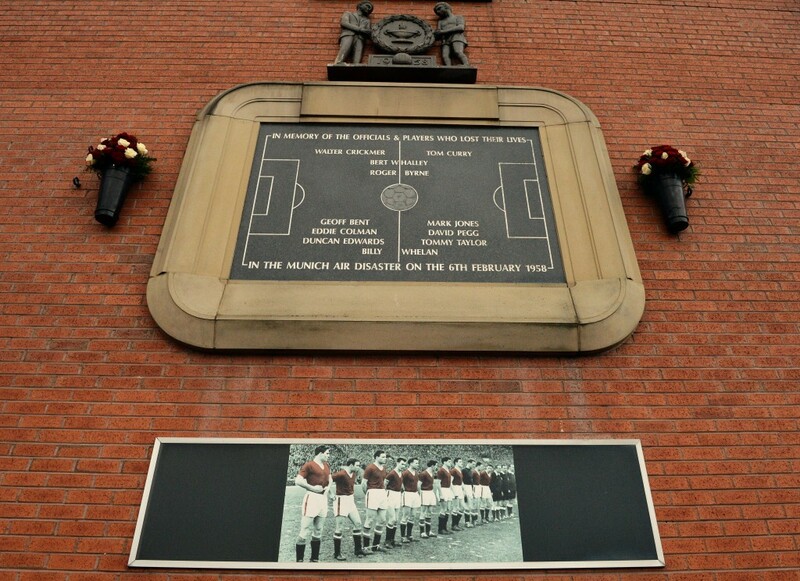 The then Liverpool boss Bill Shankly also proposed to pay their wages as he was saddened by the events in Munich and wanted to be a part of the club’s rebuilding process. While the fans of Liverpool and United are continuously hellbent on outwitting the other, incidents like these show that there is more to the beautiful game than unnecessary rivalries. The two clubs have stood together in tragedies including the Hillsborough Disaster as well, showcasing their respect towards each other.